BNI entered the senior men’s intermediate competition last weekend with high hopes to prove that BNI has the best local league in the country. Coached by Niall McDermott and Patrick O’Neill the team had representatives from 6 clubs the BNI premier league. Below is a team list of representatives with a breakdown of how BNI got the 100% record. BNI would like to thank Niall and Pat for volunteering their time and guiding the squad to the wins! 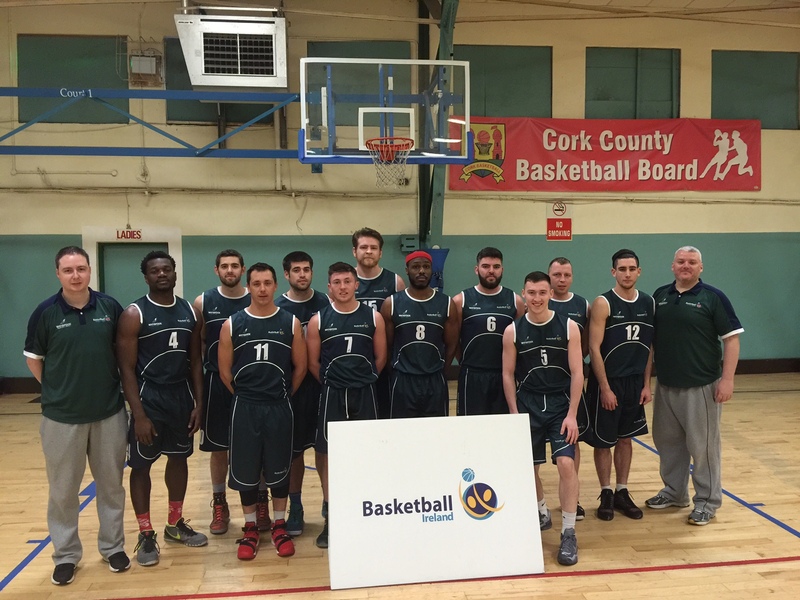 In the BNI men’s select team first game of the tournament, they played Cork. BNI started in a full court press and immediately sent a message that they were here to compete. The First quarter ended with BNI leading 24 -9 and all 11 players getting on court. The only downside was Kilkeel Knights Arturus Lisielius injuring his knee within the first few minutes and being unable to compete in the rest of the tournament. BNI continued with their up tempo play which led to forced turnovers and transition baskets at the other end, Belfast Stars Ant Lessane & Arron Goldring, Ulster Elks James Zuccaro & Jonathon McNair leading the charge. At half time BNI led 38 – 23. With all ten players getting on the score sheet, BNI shared the ball well in the second half and the tempo never slowed down, the final score was 83 – 52. Going into the second game v a big Kilkenny side immediately after the first, BNI started well, working for each other and outscoring Kilkenny 31-15 at the end of the first, Northstars Kevin Stanley was prominent with some great finishes on the fast break. In the second quarter, Kilkenny came back after some forced shots on offence by BNI and used their size to get some scores in the post. Coach McDermott called a timeout and urged the players to get their focus back on both ends and show patience on offence. 47-25 was the score at half time in BNI’s favor. BNI didn’t start the second half well and Kilkenny outscored them 19-13 in the third before Knights Darius Surginas started a comeback with some great shooting from the outside, Northstars Jimmy Puha got some steals and a fantastic chase down block, pinning the ball to the board and this seemed to bring life back to the team and the intensity level was raised. BNI ran out 22 point winners with the final score being 77-56. After a short break, Dublin provided the opposition. Dublin were tired with this being their fourth game in a row but they came out fighting – BNI struggled at times but slowly started to settle in to their rhythm, Elks Matt McColgon, Queens Daniel Stewart & Ruaidhri Milligan stood out. However 3 minutes into the second quarter, after the fourth player had slipped due to condensation close to the baskets, it was decided to call the game. The result didn’t matter to the final standings and the score stood at 29-22 to BNI when the game was called off. In the final BNI played Kerry. They were also undefeated and had an easy run through the tournament after a close first game against Cork. The game was played on the full court and both teams started well with baskets hard to come by and defence winning out. Kerry played a big 3:2 zone and with three players over 6’4” it was tough to get good looks at the basket. Score was 13-13 after the first. BNI tensed up with some poor options on offence leading to some fast break points for Kerry in the second, Kerry lead 32 – 25 at the half. A change in tactics by coach McDermott at half time lead to a complete turn around in the third – going to a zone press caused all sorts of problems to the Kerry side and they couldn’t adjust, Elks McColgon & Zuccaro along with Stars Lessane, Northstars Stanley and Knights Surginas were instrumental in starting a great run, with McNair, Stewart, Milligan, Goldring and Puha all coming in and continuing the great defence which lead to a 27 – 2 run in the third. BNI were firmly in control going into the fourth and pulled away to win their third National Area-Boards Intermediate Championship (NAIC) in five years 71 -47.